Bonnie first discovered her passion for nursing as the first high schooler to volunteer in the Pediatric and Adolescent Unit at Sacred Heart Medical Center in Eugene. She followed her dream to become a registered nurse, providing care for infants, children, and new families, working for thirteen years with Peacehealth. After having two boys of her own, Bonnie’s love for her job grew even deeper and she became the newborn baby care educator for both Women’s Care and Pacific Women’s Center. Her energetic teaching style is fun and relatable, while still offering important information. 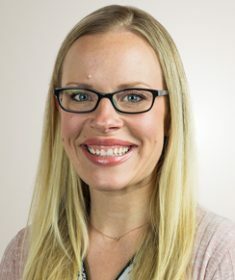 In addition to educating new families about newborn care, safety, and development, Bonnie is skilled in infant feeding and is a lactation educator counselor. Her ambition is to offer guidance and support in order to maintain a positive feeding relationship. To this end, she works closely with families to tailor feeding plans unique to their goals, desires, and needs. Bonnie recognized the necessity for additional support for newborns and their families beyond hospital discharge. Her love for her job lead her to Eugene Pediatric Associates, offering free house calls to all newborns. She is the only pediatric and feeding specialty nurse in the region working in direct relationship with the pediatrician and family in the comfort of their own home. While relating to families through her career and her own experiences as a mother, Bonnie also recognizes the importance of staying current on evidence based research. She is the chapter chair for Southern Willamette Valley AWHONN (Association of Women’s Health in Obstetrics and Neonatal Nursing), promoting the health of women and newborns. She looks forward to meeting you and supporting your family on this exciting new adventure.